15t crane hire in Perth WA is perfect if you want to move a light load in Perth such as a car engine, air-conditioner, loading pipes onto trucks, furniture etc, then hire our cheapest price 15 ton pick and carry Franna crane for hire Perth wide. 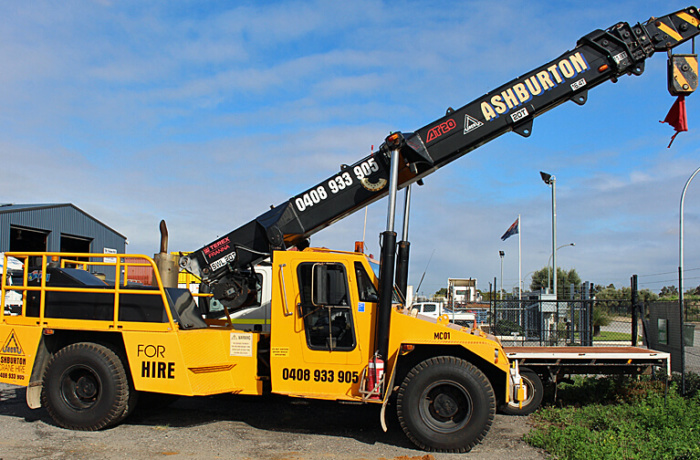 Our 15t light weigh crane for hire in Perth is a quick crane hire service in Perth because it does not need a low loader truck transport to the job site. In Perth our 15t crane for hire usually comes with a crane driver, but if you want to bare hire cranes in Perth (only in Perth), then you'll need a qualified, safe, approved crane driver who's experienced operating a 15t Franna crane for hire and with Perth conditions.